It's school holidays and happy that today brought my son for the Hot Wheels launched event. 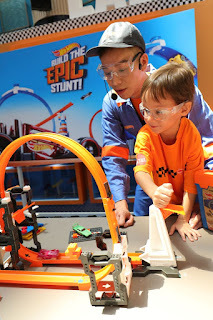 Hot Wheels® launches two brand new Hot Wheels® Track Builder track sets featuring bricks, integrating construction play by Mega Bloks® to the game’s adrenaline excitement for more epic stunts and actions. The all-new brick component aims to ignite greater adventure for stunt builders to add into the epic world of Hot Wheels® Boys and Hot Wheels® fans can now start building an epic world of Hot Wheels® tracks or add on to an existing track set with new brick components to foster creativity and experimentation. Stunt builders can re-configure and customize with bricks and Track Pivot Points for nearly endless configurations and crashing action. The Hot Wheels® Track Builder track sets offer multiple configurations for endless creativity for kids to build their epic world of Hot Wheels®! Ms. Fong Jia Li, Head of Marketing, Mattel® Southeast Asia. “We can’t wait to share this brand new brick component to all the little Hot Wheels® engineers and fans in Malaysia. 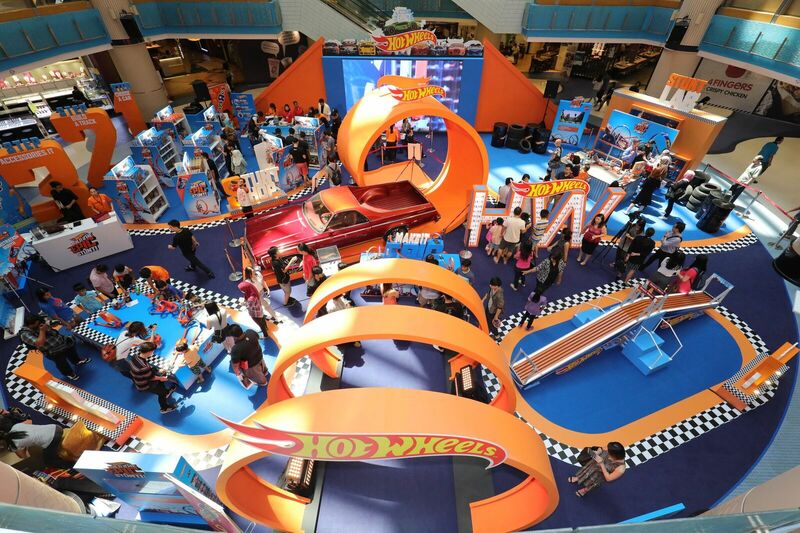 At Mattel and for Hot Wheels®, we always strive to inspire the wonder of childhood through experimental and creativity play. 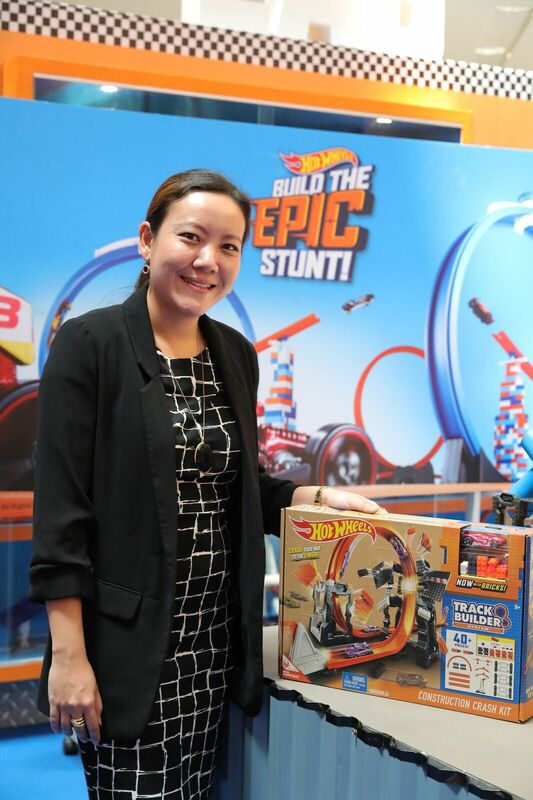 Integrating construction play to our Track Builder series will add so much fun and value to the play experience with Hot Wheels®,” said Ms. Fong Jia Li, Head of Marketing, Mattel® Southeast Asia. 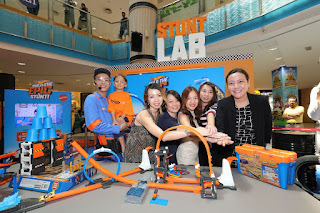 From Left to Right: Loo Hoey Theen, Director of Marketing Sunway Pyramid, Michelle Wan, Senior Licensing Manager, Mattel Southeast Asia, Catherine Ng, Assistant Merchandising Manager, Toys "R" Us Malaysia, Pei Fen, Marketing Executive, Toys "R" Us Malaysia, Christine Chan, Snr Brand Manager, Boys Mattel Southeast Asia. 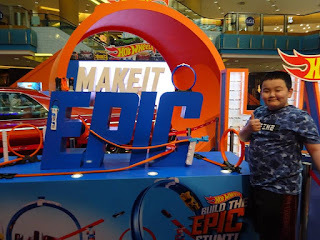 As part of the effort to inspire creativity and experimental play with Hot Wheels®, Mattel will release a 6-episode web series featuring Radio DJ and TV Presenter, Tiong Button, “The Engineer” teaches children different ways to construct and experiment with the new Hot Wheels® Track Builder sets. http://www.facebook.com/hotwheels from 21 March 2017. 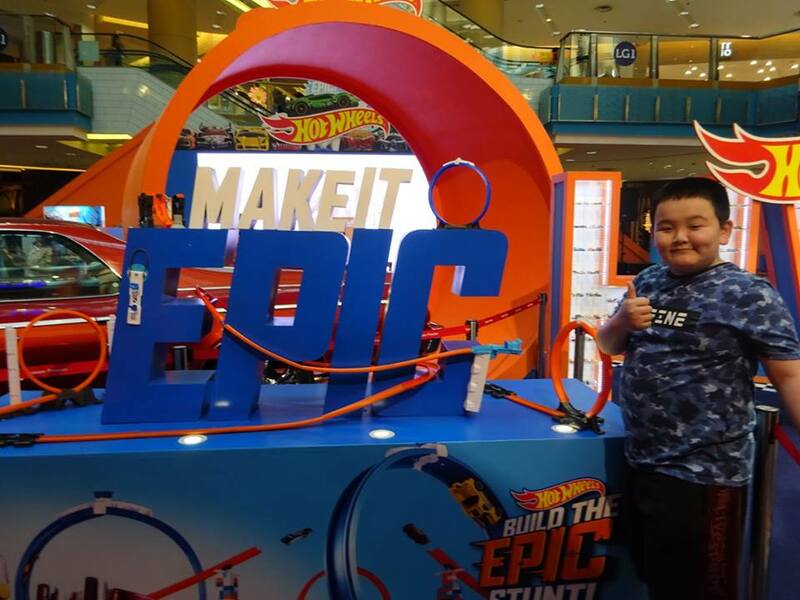 The Engineer Tiong Button and Little Engineer Ghibran excited at the joy of completing their Hot Wheels® Stunt! 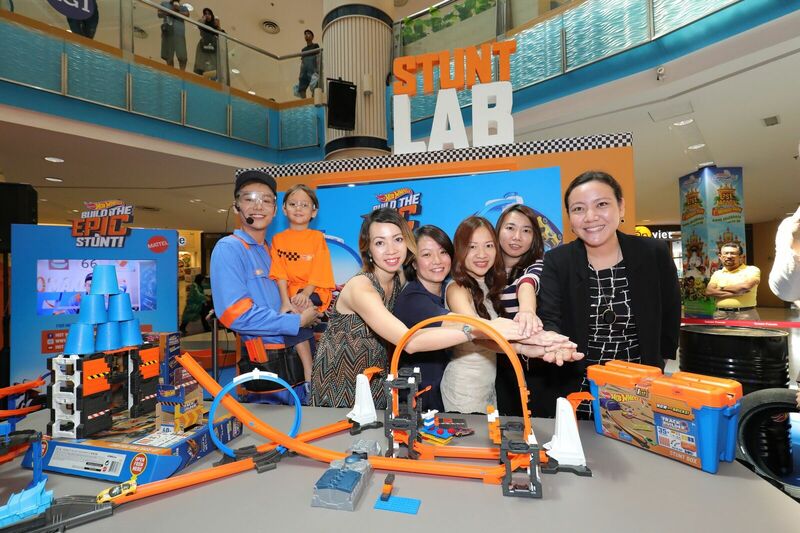 Mattel will also bring the new Hot Wheels® stunt and track building experience to stunt builders and fans at major shopping malls in Klang Valley starting from 21 March 2017. 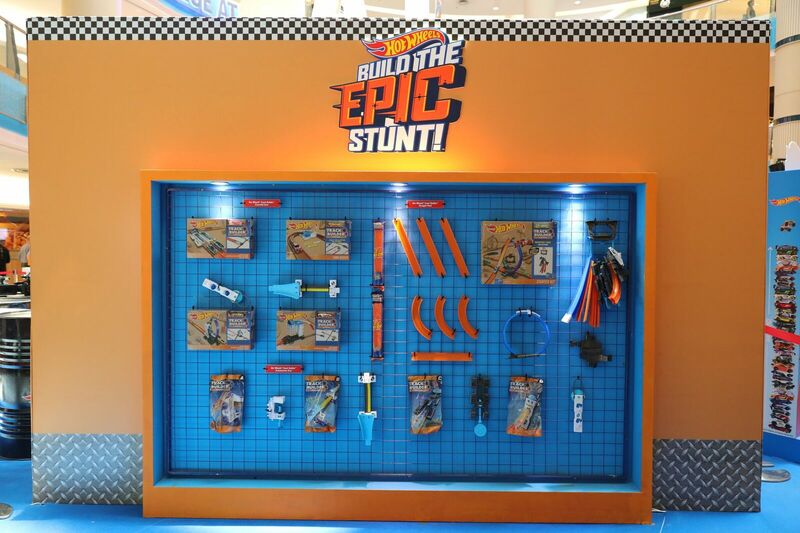 The Hot Wheels® Build The Epic Stunt roadshow will kick start at Sunway Pyramid, Blue Concourse, from 21 March 2017 to 26 March 2017. 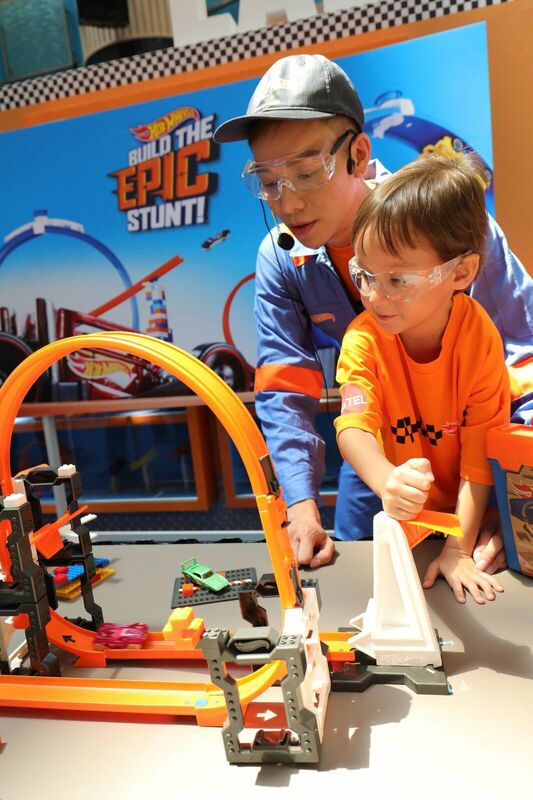 Children can join the Hot Wheels® Little Engineer program to get first-hand experience on the Hot Wheels® new products and receive their very own personalized Hot Wheels® Little Engineer club card. 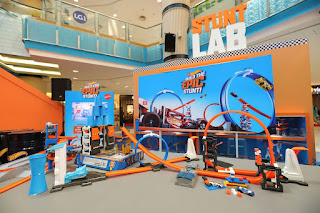 Overview of the Hot Wheels® Build The Epic Stunt roadshow at LG2 Blue Concourse at Sunway Pyramid. The Hot Wheels® Stunt Builder Stunt Box and Hot Wheels® Track Builder Construction Crash Kit are now available at leading toys retailers and major departmental stores. 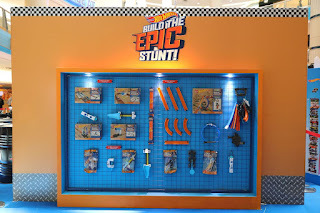 To find out more about the video series featuring The Engineer, the road show and the Hot Wheels® Little Engineer programme visit www.hotwheels.mattel.my. What a really fun event! I'm sure your boys enjoyed the event even more. I will surely buy hotwheels for my little one! Wow this is really cool, i remember when i was a kid and played this racing cars and had to build my own track. Kids now days are super lucky. Looks like your boy had fun! This is a great event for parents and kids to bond!